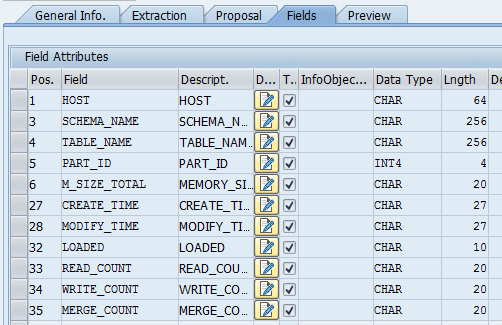 In today’s blog, will cover the data-flow creation and its analysis in BW for both. 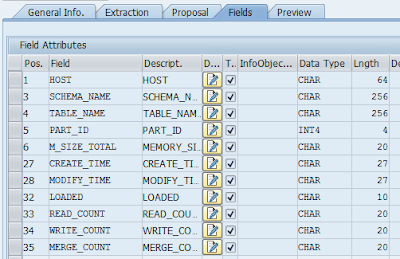 Lets’ start with creation of source system on HANA DB. 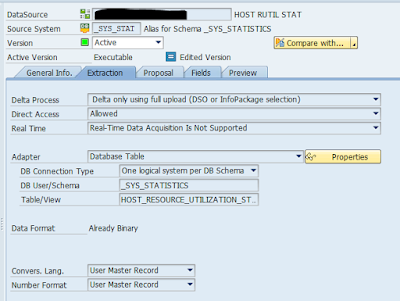 3) Choose Connection Type “One logical system per DB Schema” and choose DB Owner/Schema as “SYS” or other as per requirement. Please note that you can consume you customer views created under your ID via this as well. Just choose your ID as DB Owner. 4) Similarly, create other source system for _SYS_STAT (this is another SAP standard DB Schema). Now, we need to create datasource of these source systems as per requirement. For example, we will be consuming below table via custom datasource. There are other fields as well in this schema which can be made visible under proposal tab by selecting them. For example: FREE_PHYSICAL_MEMORY, USED_PHYSICAL_MEMORY, TOTAL_CPU_SYSTEM_TIME_DELTA etc. 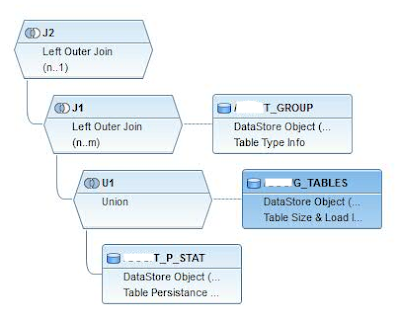 Datasource 2 (DS_2): M_CS_TABLES – Provides runtime data for column tables. PART_ID: Partition ID. 0 for non-partitioned tables, 1 through number of partitions for partitioned tables. -1 if the whole table is unloaded. MEMORY_SIZE_IN_TOTAL : Total memory size is the sum of memory size in main, delta, and history parts. WRITE_COUNT: Number of write accesses on the table or partition. Note: This is not the number of DML & DDL statements against this table. A DML or DDL statement may involve several write accesses. 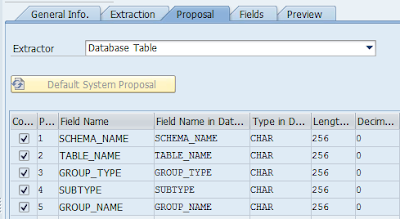 For saving memory on PSA, you may use below properties of DTP to extract data from these DB views: Extraction will be directly from Source system – here HANA DB Schema. After creation of these data-sources, we can consume them in popular ADSO and Composite Provider – SAP Objects and create SAP query on it for analytics on data volume/memory management and host utilization. Above ADSOs have been made part of JOIN/UNION in such a way in composite provider to full fill lookup criteria (explained transformation logic for same). We can make ROW STORED tables also part of this multiprovider. ◈ To Store memory related key figures more efficiently, convert them to GB or TB while storing them in ADSO. DATA: L_TABLE_NAME TYPE STANDARD TABLE OF TY_TABLE_NAME. WHERE AS4LOCAL EQ 'A' AND TABCLASS IN ('TRANSP','POOL','CLUSTER'). LOOP AT L_TABLE_NAME ASSIGNING <L_TABLE_NAME>. DELETE L_TABLE_NAME WHERE TABLE_NAME EQ <SOURCE_FIELDS>-TABLE_NAME. APPEND LINES OF L_TABLE_NAME TO SOURCE_PACKAGE. CONCATENATE 'Info' L_TDESC INTO L_TDESC SEPARATED BY SPACE. TRANSLATE <RESULT_FIELDS>-/B37/S_G_TDESC TO UPPER CASE. OR <RESULT_FIELDS>-/B37/S_G_STYPE = 'DIM' ). 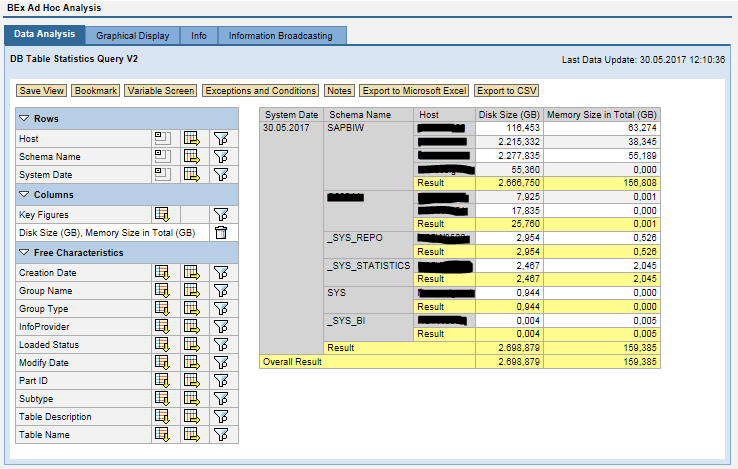 1) Host Resource Utilization has been consumed in ADSO and then directly to Query. 2) IMPORTANT: For transports, please make sure that you maintain mapping logical systems for transport for new source systems created. One of the thing I struggled for days was that it was not maintained in target system in below table even though it was existing in RSA1>Source System. Use view maintenance V_RSLOGSYSMAP in transaction sm30. Query consumption in SAP Lumira or BO Dashboards is left to your imagination. ◈ Find tables are unevenly distributed across servers and may require redistribution. 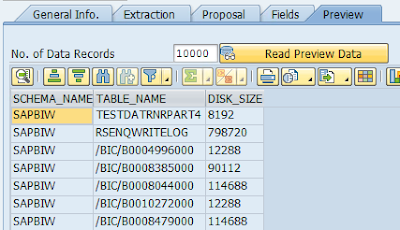 ◈ Find Tables which requires a data-cleanup check from Basis or BW end. ◈ Which server is highly utilized as compared to other servers and table/load distribution can be done accordingly.